Rebate apps are rapidly replacing traditional mail-in rebates. It's a convenient and fast way to cut costs and increase your cash flow. Saving time and money goes hand in hand when you're a small business owner. 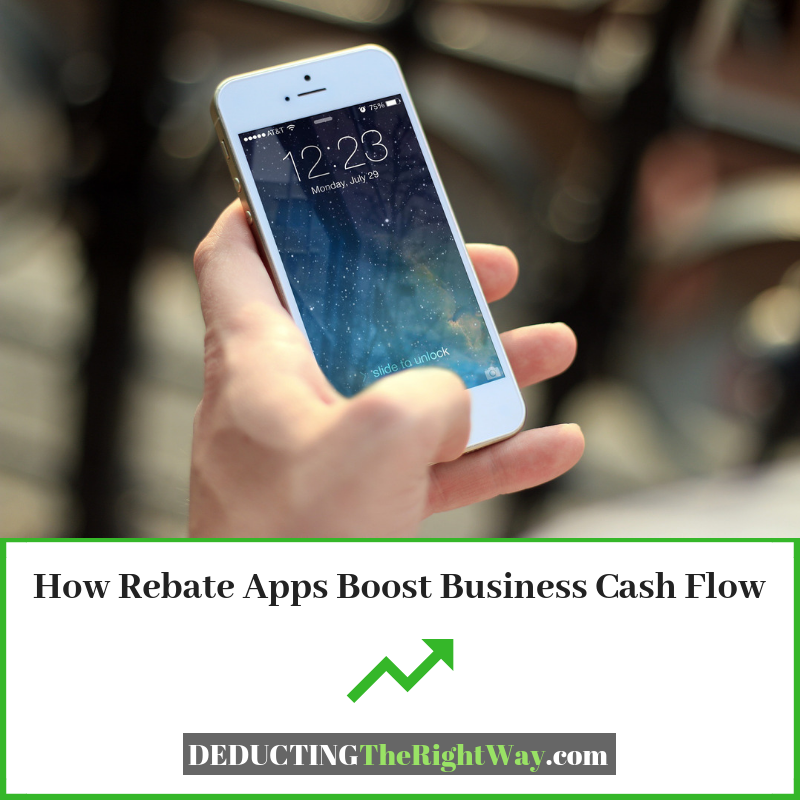 Not everyone has time to clip free coupons, maintain a coupon organizer or browse the sales circular but most entrepreneurs are willing to multi-task by using a cashback app. Not everyone has time to clip free coupons...but most entrepreneurs are willing to multi-task by using a cashback app. TIP: You'll want to create a separate profile for your business purchases to streamline your bookkeeping tasks (review the app's terms and conditions for any restrictions on multiple profiles). While you're at the supermarket or convenience store, you can grab office supplies and submit the receipts to more than one grocery shopping app. You might even find offers for wholesale clubs such as BJ's, Sam's Club and Costco. Don't forget to keep personal and business purchases separate when you are in the checkout lane. Are you traveling out of town for business purposes? You can submit the meal receipt if you find an offer from a participating restaurant. Some apps even include travel arrangements and online shopping so you can save money on flights or client gifts. TIP: A rebate is the partial or full return of the original purchase price, so you need to decrease the dollar amount in your bookkeeping (for the item) to avoid mistakenly claiming the entire cost on your tax return. \nSaving time and money goes hand in hand when you're a small business owner. Not everyone has time to clip free coupons, maintain a coupon organizer or browse the sales circular but most entrepreneurs are willing to multi-task by using a cashback app. \nNot everyone has time to clip free coupons...but most entrepreneurs are willing to multi-task by using a cashback app. \nTIP: You'll want to create a separate profile for your business purchases to streamline your bookkeeping tasks (review the app's terms and conditions for any restrictions on multiple profiles). \nWhile you're at the supermarket or convenience store, you can grab office supplies and submit the receipts to more than one grocery shopping app. You might even find offers for wholesale clubs such as BJ's, Sam's Club and Costco. Don't forget to keep personal and business purchases separate when you are in the checkout lane. \n Are you traveling out of town for business purposes? You can submit the meal receipt if you find an offer from a participating restaurant. Some apps even include travel arrangements and online shopping so you can save money on flights or client gifts.